Many elderly people are in long term care facilities like nursing homes, and most families believe that their loved ones will receive excellent care there. Plenty of nursing home patients receive good care and live happy, healthy lives in the care of facilities, but others are subjected to abuse and neglect. These statistics take a look at some of the problems in nursing homes, and explore just how bad things really are. More than 30% of all nursing homes experience some form of resident abuse: Nearly 1/3 of all nursing homes have residents that are subject to abuse, whether it’s by staff or other residents. These include malnutrition, physical abuse, psychological distress, exploitation, neglect, and sexual abuse. In 2005, almost all nursing homes had at least one deficiency: Statistics show that in 2005, 91.7% of America’s nursing homes were cited by health inspectors for at least one deficiency. 90% of abusers are known: Nearly all of the time, those who abuse nursing home residents are not strangers. That means staff members, residents, or familiar visitors are almost always to blame for nursing home abuse. 5,000 deaths in 1999 may be due to negligence: Red flags for nursing home negligence were listed on 5,000 death certificates of nursing home patients in 1999. These include starvation, dehydration, or bedsores as the cause of death. 30 incidents of aggression can happen in one 8-hour shift: In one investigation, 12 nurses observed aggression between residents 30 times in an 8-hour shift. Only about 20% of abuse cases are ever reported: Many nursing home residents do not have the mental presence or confidence to report abuse for themselves, and it may go unnoticed by family and other caretakers, so often, nursing home abuse cases are not reported. 92% of all nursing homes employ at least one convicted criminal: Nearly all nursing homes open their doors to at least one convicted criminal, and there are no national requirements for background checks for nursing home employees. One-third of all nursing home patients take antipsychotic drugs: It is suspected that older adults are being overmedicated with antipsychotic drugs in nursing homes, used to prevent combative behavior, agitation, and outbursts by dementia patients. There are not enough nursing home beds to serve the entire elderly population: In 2008, there were only 1.8 million total nursing facility beds, but there were 18.8 million people aged 65-74, and 14.7 million people aged 75 or older. More than 50% of nursing home residents don’t have close relatives: Many residents of nursing homes are without family support that can watch out for neglect or abuse. One nurse’s aid may care for up to 30 people: Often, the ratio of nurse’s aids to patients is 1:15, but it can go as high as 30. The recommendation is 1:3 during a meal and 1:6 during non-meal times. 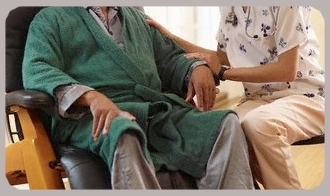 90% of US nursing homes have staff levels too low for adequate care: Statistics on abuse and neglect are not so shocking when you realize that 90% of nursing homes do not have the staff levels available to care for their patients effectively. The average annual cost for a private nursing home room may be $175,000 by 2021: The average cost for a room at a private nursing home in 2003 was $66,000, but that figure may rise exponentially. One out of four nursing homes is cited for death or serious injury to a resident: In 2001, one of of every four nursing homes received a citation for causing serious injury or death to a patient. Twenty complaints per nursing home were received in 2007: With 257,872 complaints relating to quality of care, facilities, staffing, and other factors, there was an average of 20 complaints per nursing home in 2007. This entry was posted on Wednesday, June 8th, 2011 at 12:05 am	and is filed under Health News. You can follow any responses to this entry through the RSS 2.0 feed. You can leave a response, or trackback from your own site.